Lisa Weldon, ’74, decided last year she needed something different in her career. A lifelong advertising executive based in Atlanta, she felt she was missing out on the newest trends in the business, primarily social media. She set out to change that by enrolling in a course at Parsons in New York City. She found an apartment, budgeted for food and started a blog. But 10 days before she was to leave for her 30-day city adventure, the class was canceled. “I already had my apartment and my ticket, so I designed my own curriculum, found short classes around the city and implemented the classes as I walked the city,” Weldon said. 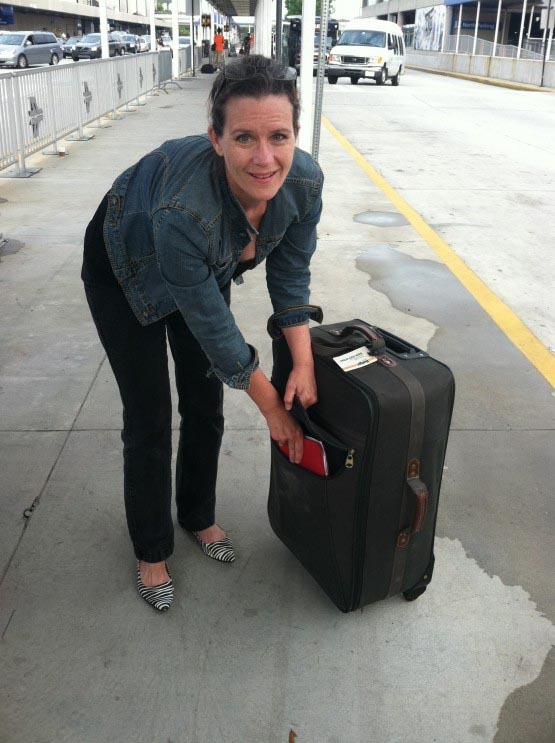 She spent 30 days learning about social media and walking every square mile of Manhattan. 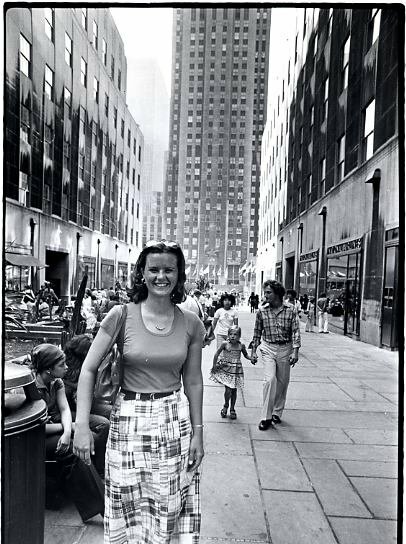 Weldon's first time in NYC, 1977. Weldon walked anywhere from 4-10 miles a day while not in class, ending the day in her apartment downloading photos, researching and writing. Some days, she added her work from Atlanta into the mix. As exhausted as she felt some days, New York gave her an energy unlike any other place she’s been. Some days, Weldon said she’d wake up and 6 a.m. and have to make herself stay inside until it was light outside. “It was the most glorious 30 days of my life,” she said. But what started out for Weldon as a social media jump start for her career quickly turned into something entirely different. “Instead of just going to learn and figure out the second half of my life, I began to motivate others with my life,” she said. Not long after the journey began, she realized many of her followers were women in her same age group. Other women shared similar stories about how life happened and their dreams were cast aside. Weldon, who has three children in college – two at Auburn – has set her sights on two more cities to navigate by foot. She hopes to make it to New Orleans in March and Paris in September. The New Orleans experience could be an all-expenses paid trip courtesy of several organizations. The organizations are footing the bill for 25 people to spend a month in the “Big Easy” walking and enjoying the city with the agreement to share the experience through social media. Weldon leaving Atlanta for New York last June. September’s trip across the ocean will be a bit trickier. Through websites and the help of friends, Weldon has started navigating the hunt for an apartment and is slowly beginning the planning for the month-long move. “If you can live in Manhattan, you can live in Paris,” she said. “You run into people, and you just get to know people; the grocer, the people next door. Aside from seeing sights off the beaten path, learning new things, discovering new foods and seeing the underbelly of a city, Weldon said the freedom is truly liberating. 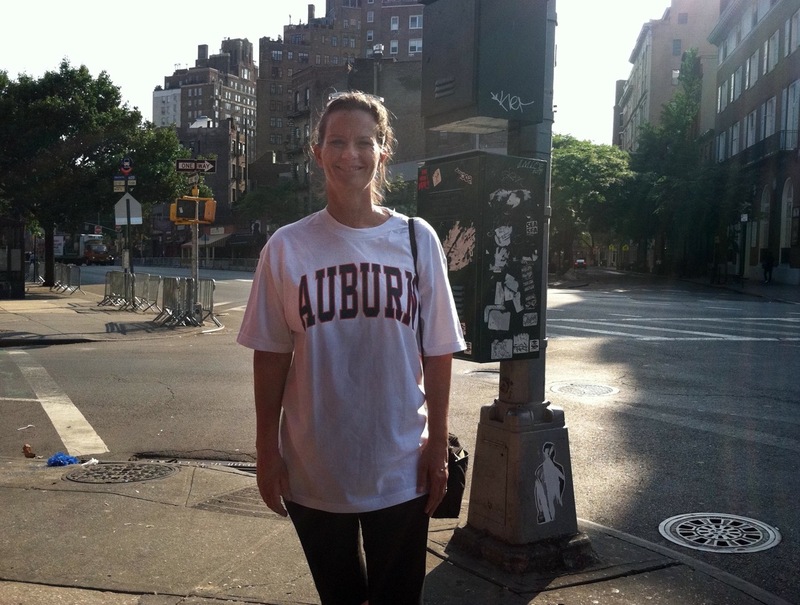 Before leaving Atlanta for the “Big Apple,” she asked her daughter to buy her an Auburn T-shirt to wear in New York. She plans on taking the same Auburn shirt to Paris. You find Weldon online at http://blog.lisaweldon.com/ and http://www.facebook.com/LisaWeldonNYC. Follower her on Twitter: @lisaweldon. “If you can live in Manhattan, you can live in Paris . . . .” Well, I guess that’s true. She’s gonna find out! Who pays for this kind of “adventure”? Kinda hard for most working folks to pull this off…..
One answer: you learn how to save!! I know this woman and by no means is she a high roller but she saved every penny she could (literally!!). Lisa has taught me most that you can do anything you put your mind to! Truly an inspirational story! Hey, I know her. It is fun to encounter War Eagles in other places. Congratulations Lisa – especially with following through even after the class was cancelled and making the most of the adventure. That level of perserverance and “can do” is a great “lead by example” for your children too.